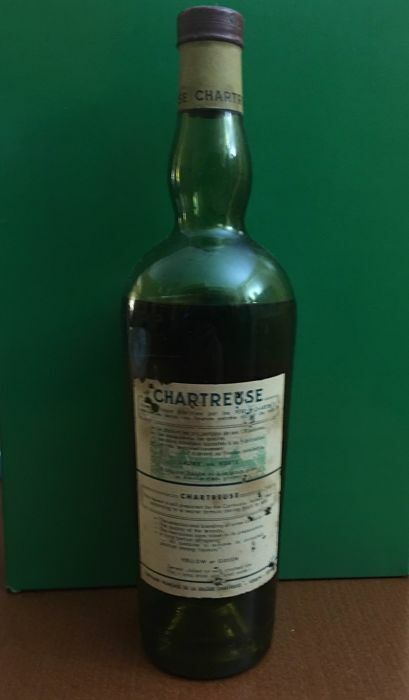 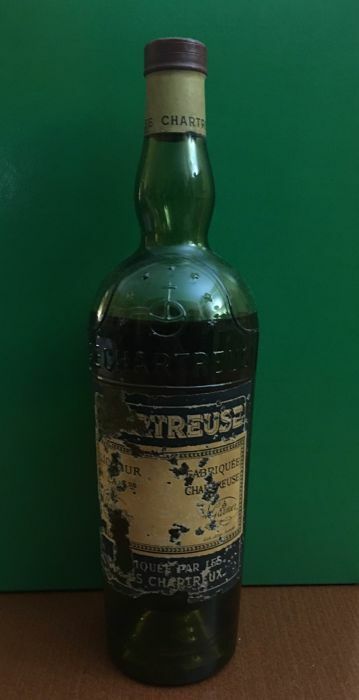 Chartreuse Jaune Bottle demo the 1956-1964 period ,probably rather 1950s than 1960 the bottle seen some evaporation of content,ad is more common with chartreuse of this period . 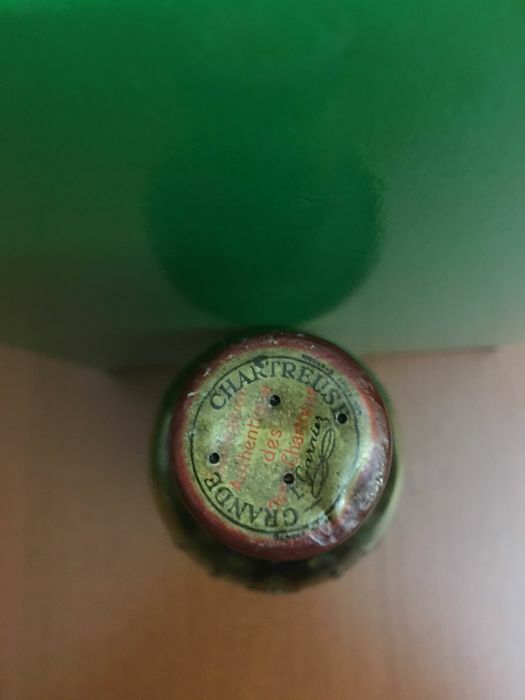 The liquid is still clear and the contents should be fine to drink. 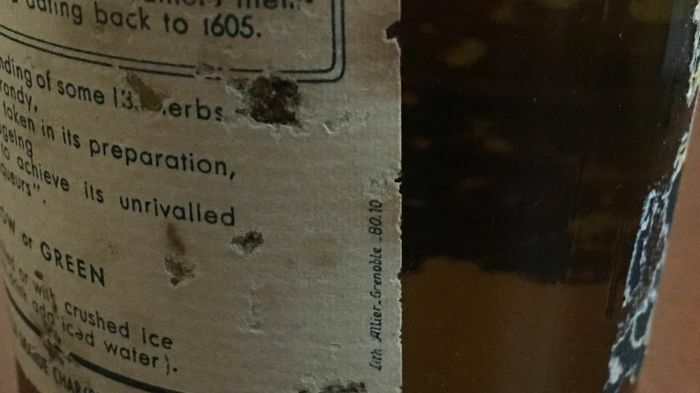 Lables are damaged but readable .